“We are also very proud of Pima Butte being given an 'A' grade by the Arizona Department of Education for the fifth straight year,” he said. 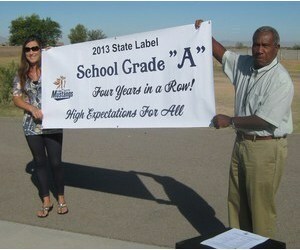 Maricopa Elementary and Santa Cruz Elementary moved up a letter grade from last year, going from “C” to “B." Maricopa High School went down a grade letter, missing its “B” by one point.